Trudie Ann (Nelson) Berg (66) passed away peacefully at her home with family at her side on May 5th, 2018 after a 10 year battle with cancer. 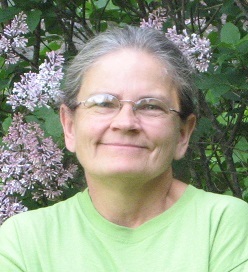 Trudie was born in Duluth,Mn to Russel and Shirley (Dahl) Nelson on April 14, 1952. She graduated from Two Harbors High School in 1970. She earned her teaching degree at Bemidji State College and began a long and rewarding career in education. She married her husband Bradley Berg on April 28th,1978. Trudie had a love for working with children and taught many in pre-school, elementary and special-ed. Most of all Trudie was a beloved wife, mother and grandmother, she cared greatly for her family and friends. She loved to spend time in her gardens and caring for plants. Trudie is survived by her husband Brad, her children Kjerstin (Nick) Berg and Sven (Kelsey) Berg, her brothers Gary (Claire) Nelson and Greg (Betsy) Nelson, her father Russel Nelson, grandsons Alexander, Christopher, and Landon and many family and friends. She was preceded in death by her mother Shirley Nelson. A private family service will be held. Her family would like to thank all the doctors, nurses and hospice workers at St. Lukes Hospital.